With a month until Knit City we are starting to get everything ready for our booth! If you didn’t attend knit city last year, then you must make sure to check it out this year. Details can be found here. This year we will also be staffing and promoting the Briggs and Little booth like we did last year! In preparation we have been knitting a bunch of samples in the fantastic home-grown yarns of Briggs and Little. We have the entire colour line of the Super – a hearty bulky weight yarn, 77m/113 g and it sells for $5.99/skein. I just finished Willy the Wily Fox. Such an adorable project! 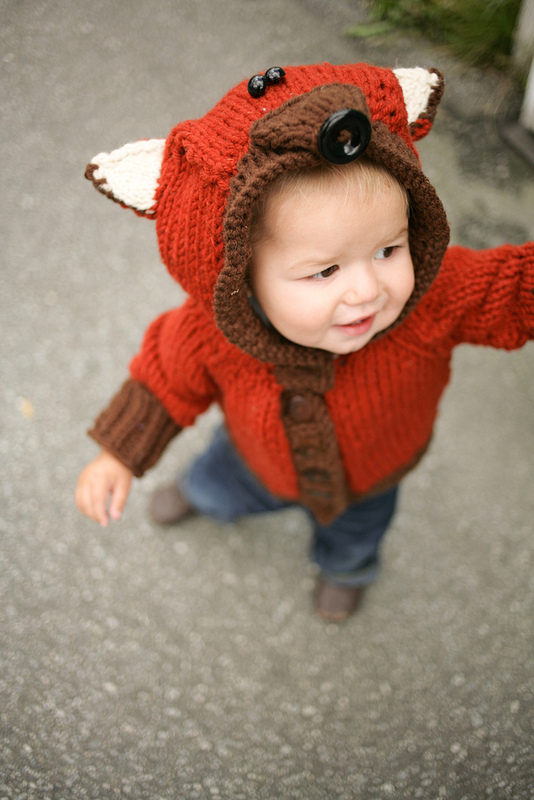 I will most likely do a second in the 2-year size as my little fox is much larger than the 1 year size. When I do it a second time I will try to tweak the pattern a bit and do it as a top down raglan – my preferred method for raglan style sweaters! I was confused at first as to why the hood band was picked up separately from the front left and right. But I actually prefer it as it makes an adorable little hood that fits perfectly. I am going to line the hood with some fantastic fabric I picked out from Spool of Thread! The second project in the Super was knit up by Natalie (loyal customer and friend)! 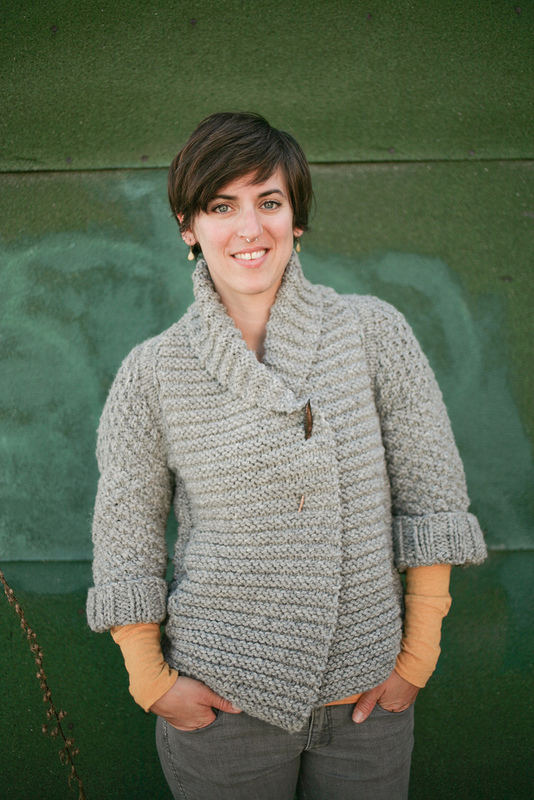 She knit the Muse sweater – and it looks fantastic! 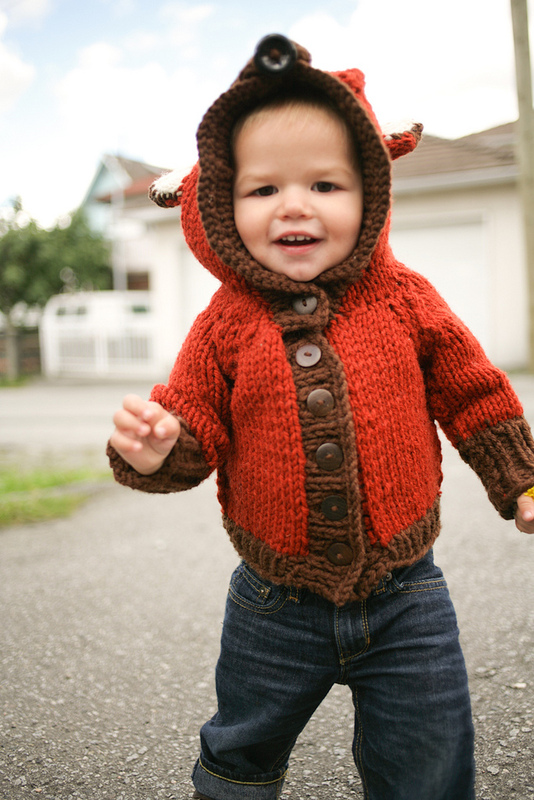 Come by and check out Briggs and Little Super and mark your calendars for Knit City! Did Natalie change the pattern for Muse sweater? It’s more of a shrug on Ravelry, but it looks longer here. I love the look. yes she made some changes…I keep bugging her to post her alterations on Ravelry, I will post here when she does!